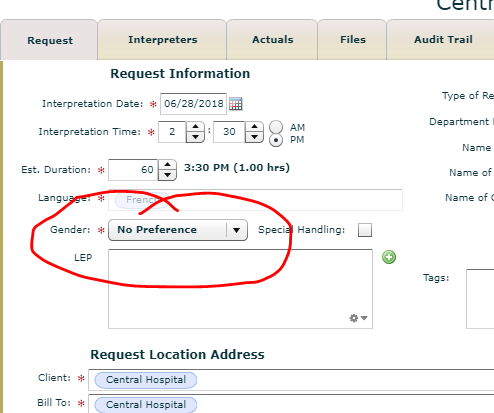 eginning with the version scheduled to release on 5/19/2018, the interpreter gender specification is available for all request types and may be set as a required field based on the customer. 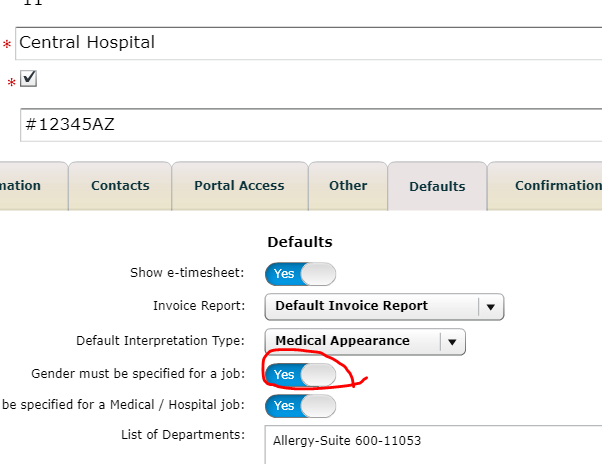 As you can see below, this is a request type of 'Other Appearance' but it still has the Gender drop down box. This box also has a red asterisk and must be completed before you can save the job.